Dr. Elñora Tena Webb is President of Laney College, located in downtown Oakland, California, and the flagship of the Peralta Community College District, which serves up to 30,000 students. In addition to her duties as a College President, Dr. Webb serves in several other leadership capacities, including as a member of the American Association of Community Colleges’ (AACC) Commission on Global Education, the Community College League of California’s CEO Board of Directors, and as faculty with the University of CA at Berkeley’s Executive Leadership Academy. 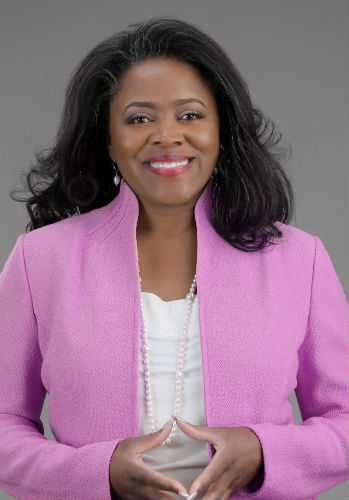 Dr. Webb was a member of the Community College Leadership program at the University of California at Berkeley and completed her Ph.D. in Education with emphasis in Higher Education Administration/Policy. Dr. Webb consistently demonstrates ethical, visionary and collaborative leadership in a range of instructional, student services, research, and administrative roles within all systems of higher education in California. The depth of her experience, leadership, mentoring, as well asthe tremendous contributions she has made in the realm of higher education, are a few of the many reasons she is receiving the WRCBAA’s highest recognition –The 2013 Sankofa Award. The WRCBAA represents community colleges in the states of California, Alaska, Arizona, Colorado, Hawaii, Idaho, Nevada, New Mexico, Oregon, Utah and Washington. The Council promotes activities that emphasize the professional development of Black leadership within the colleges, and the implementation of meaningful equal employment opportunities and diversity programs. The Western Region Council on Black American Affairs (WRCBAA) is the official regional body of the National Council on Black American Affairs (NCBAA); an affiliate of the American Association of Community Colleges (AACC). Our organization serves as a collaborative voice promoting the academic success of African American/Black students; as well as the professional development and advancement of faculty, staff and administrators.